New Delhi: Two days before the Supreme Court hears several key issues related to the Board of Control for Cricket in India (BCCI), including the appointment of an ombudsman who is expected to look into the sexist comments made by cricketers Hardik Pandya and K.L. 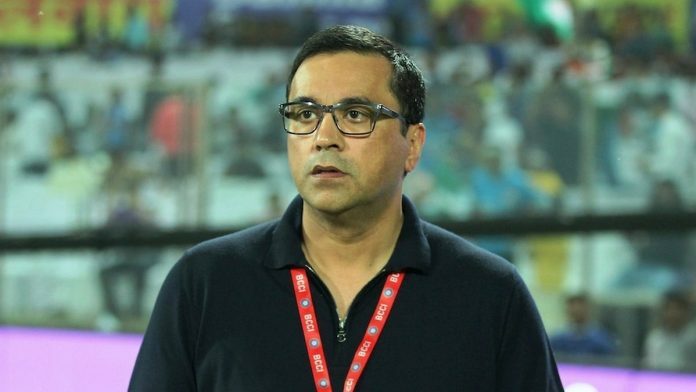 Rahul last month, BCCI CEO Rahul Johri will undergo gender sensitisation classes in Mumbai Tuesday. Sources said Rainmaker, a Mumbai-based company which specialises in conducting workshops on prevention of sexual harassment, was picked to conduct the classes after much disagreement between the two remaining members of the Committee of Administrators running BCCI — former women’s cricketer Diana Edulji and retired bureaucrat Vinod Rai. The BCCI CEO will undergo the classes in accordance with the recommendations of a panel that probed him for allegations of sexual harassment in 2018. Johri has been at the centre of a raging controversy since October 2018, when two women complained of sexual harassment and deposed against him in front of a three-member external committee. ThePrint reached Rai and Johri for comment but there was no response till the time of publishing this report. Edulji refused to comment on the matter. One of the three persons in the external committee, women’s lawyer Veena Gowda stopped short of upholding charges of sexual harassment against Johri, but recommended that he undergo gender sensitisation classes. The other two members of the committee, Barkha Singh, the former head of the Delhi Commission for Women, and Rakesh Sharma, a retired judge of the Allahabad high court, exonerated Johri. All three submitted their report to the CoA in November 2018. The Johri matter is only one of several disagreements between Edulji and Rai, appointed two years ago to the four-member CoA mandated by the Supreme Court to oversee cricket reforms. However, the resignations of historian Ramachandra Guha and NSE CEO Vikram Limaye, the other two CoA members, have meant that a number of BCCI issues have remained deadlocked between Edulji and Rai. These issues include the compliance by various state cricket boards to the new BCCI constitution — Tamil Nadu is said to remain defiant. A new amicus curiae, senior advocate P.S. Narasimha, was appointed recently after Gopal Subramanium resigned in January. The Johri case got a new lease of life when Pandya and Rahul were temporarily suspended by BCCI because of sexist comments they made on the TV show, Koffee with Karan in January. Johri is the son of former BJP leader Dinesh Johri, a minister in the UP state cabinet in Kalyan Singh’s government in the 1990s. It is also believed that one of the two women who deposed against Johri has not been given the full, unedited report, even though she has asked for it. A third woman, who worked with Johri at BCCI, is also said to have privately complained about Johri harassing her sexually, but never took those charges to the external complaints committee out of “shame and fear”. BCCI treasurer Anirudh Chaudhary, who also deposed on this matter in front of the external inquiry committee, has talked of this unnamed woman in his deposition, a copy of which is available with ThePrint. Chaudhary said that the unnamed woman in BCCI wanted to resign, but her resignation was not accepted. Instead, her husband was brought to BCCI and some discussions took place with Johri, who is said to have apologised. The woman continues to work in BCCI, but in another department. ThePrint called Chaudhary but he refused to comment on the matter.